Yoga @ Eco-Logic Yoga Retreat - Eco-Logic Yoga Retreat. 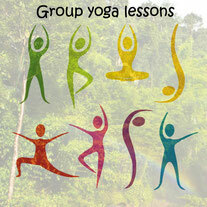 At Eco-Logic Yoga Retreat eververybody is welcome to join our walk in group lessons: young, old, beginner, experienced. Yoga is a wonderful way to excercis and rejuvenate your body and mind. You do not need to experienced or very flexibele to join in a yoga-lesson. The teacher will support you and help you with your excercise and you will never be forced into a position you do not want or cannot do. Yoga is not a competition! Never mind the flexible person next to you. You do what you can, what your body allows you and what you will allow yourself to do. Hatha yoga is the standard for all our yoga-lessons. Over the centuries a number of interlinked yoga systems have been developed for this very purpose. The system most used is called Hatha Yoga. The word “Ha” symbolizes the Sun and “Tha” the Moon signifying the positive and negative force in the electro-magnetic sense. Hatha Yoga aims to gain mastery over one’s body by practicing the postures and by breath control. Once the body is under control, one can turn their attention to gaining control over the mind by meditation and progress further along the eightfold path. 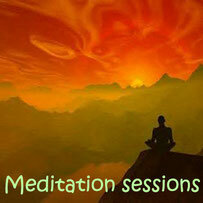 However most are content to stay withthe postures and breathing to gain better sense of well-being. Millions throughout the world are using the systems and disciplines of yoga to attain physical and mental benefit. Devoting a few minutes a day to practicing yoga can bring improved health, joy and youthful vigor and awareness of one’s self and Universal Consciousness. We offer group yoga lessons, private yoga lessons, yoga for kids, workshops on yoga and wellness, yoga mini vacations and meditation sessions. Next to that you can try our traditional Thai massage or a Reiki session.